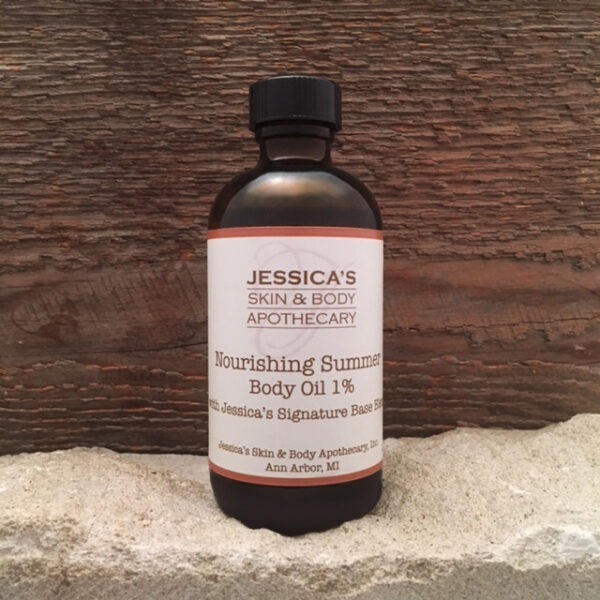 Organic Ylang Ylang and Lavender essential oils are mixed with Jessica’s Signature Base Blend (all organic) to nourish the skin. Use for massage or apply generously to towel dried skin after bathing, daily. Also recommended for healthy skin is one of Jessica’s body scrubs.